Everyone is aware that weird laws have existed ever since there were lawmakers. I thought it would be fun to look at some dumb historical laws, many of which are still on the books today. In Japan, there is a law that an elder brother can formally ask for his younger brother’s girlfriend’s hand in marriage, and both must agree to it. Tennessee: You may not bring a skunk with you into the state. Umm…why would you want a skunk in your vehicle? From Kenilworth, IL, A rooster must step back three hundred feet from any residence if he wishes to crow. Before 1920, it was illegal for women in the United States to vote. 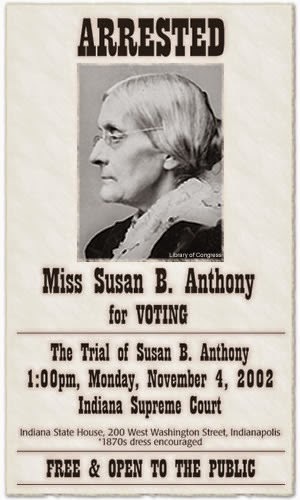 When women’s rights advocate Susan B. Anthony tried to vote in the 1872 election, she was arrested and fined $100. It’s illegal to ride an ugly horse in Wilbur, Washington. In Wayneboro, VA, It is illegal for a woman to drive a car up Main Street unless her husband is walking in front of the car waving a red flag. Hmm…so what do unmarried female drivers do? California has a law prohibiting animals from publicly mating with each other within 1,500 feet of any tavern, school or church. Hmm…I wonder if the animals are aware of this law. There was once a Texas law that prohibited the milking of another person's cow. The penalty was $10. In Oklahoma, it is illegal to wear your boots to bed. In Beaconsfield, Canada it's considered an offense to have more than two colors on your house, and you are not allowed to own a log cabin. In Alberta, Canada, there used to be a law that when a prisoner was released from jail that he would be given a gun and horse to ride out of town or city. Los Angeles, California: No toad licking. This is one that belongs in the “Duh” file. A law that survives from the English Colony of New Haven, now Connecticut, 16-year-old boys may be put to death for disobeying, striking, or cursing his parents. Yikes—that’s harsh! Toledo, Ohio has a law on the books that bans women from wearing patent leather shoes in public. It is illegal to shoot game from a moving vehicle in Tennessee, except whales. Um…whales? In Tennessee? An Alabama marriage law stipulates that a person performing a marriage rite is entitled to a $2 fee per marriage. It’s illegal to operate a cow or steam engine while intoxicated. It is illegal for women to scold. It is illegal to gamble in a library. And a law that has been on the books since the mid 19th century: You cannot ride in a taxi if you have the plague. Those are some pretty weird laws, huh? I hoped some of these gave you a chuckle. Did you have a favorite one? Do you know of any strange laws from the state you live in? Bestselling author Vickie McDonough grew up wanting to marry a rancher, but instead she married a computer geek who is scared of horses. She now lives out her dreams in her fictional stories about ranchers, cowboys, lawmen, and others living in the Old West during the 1800s. Vickie is the award-winning author of thirty-four published books and novellas. 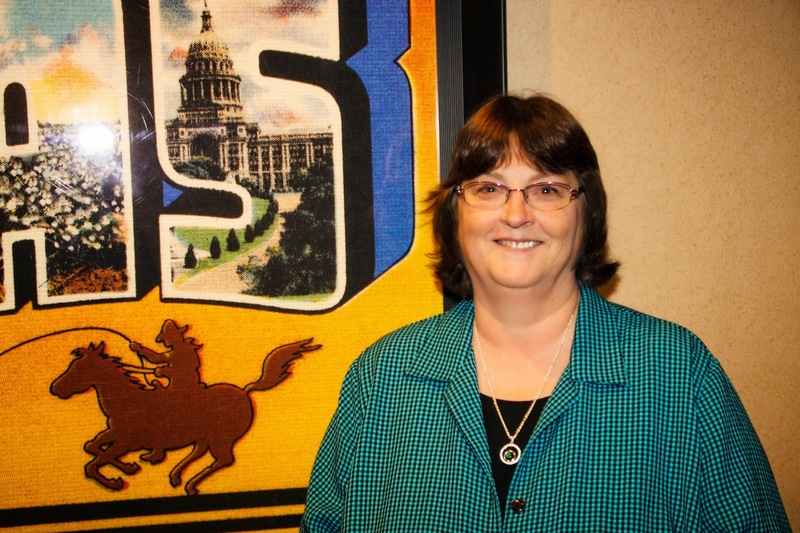 Her books include the fun and feisty Texas Boardinghouse Brides series, and End of the Trail, which was the OWFI 2013 Best Fiction Novel winner. Whispers on the Prairie was a Romantic Times Recommended Inspirational Book for July 2013. Vickie, your post made me laugh. You have to wonder what the lawmakers were thinking. California is the land of nutty laws. For example, it is illegal to set a mousetrap without a hunting license (oops!). Nor are you allowed to whistle for a lost canary before 7 am in Berkeley, CA. In Los Angeles you cannot bathe two babies in the same tub at the same time (it's a wonder I was never arrested). But this is my favorite: In Blythe, California, a person must own two cows in order to legally wear cowboy boots in public. (I think it's okay to wear them in private). Those are crazy laws, Margaret. I really don't get the one about cowboy boots. Scratching my head over that one. All couples staying overnight in a hotel must have a room with double beds that are at least two feet apart. Someone forgot to tell the hotel owners this one. And I love the new look to the website. The color scheme and header are gorgeous! That law about the elephant gave me some fun visuals of the big animals crushing the cotton plants. Too funny. Very entertaining post, Vickie. It's amazing some of these laws ever got passed. I wonder how many women in the UK have been arrested for "scolding?" I know. It's crazy that many of these are still on the books. This is fun reading, Vickie! 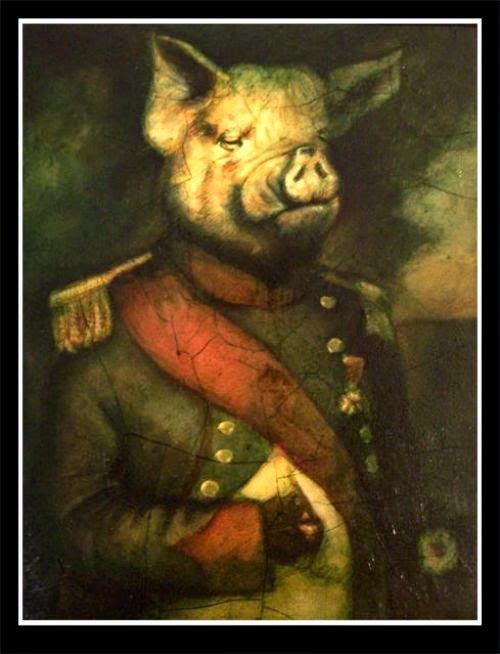 My favorite is the one about no pigs named Napoleon! Very funny. What happens to the rooster if he crows too close to a residence? Is he fined? Get his neck wrung? Maybe he ends up in the stew pot. Kind of hard to make a rooster obey a law, isn't it? 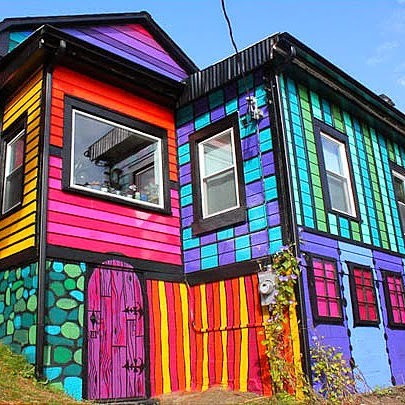 Sharon, I loved that picture of the colorful house too. Thanks for reading my books! 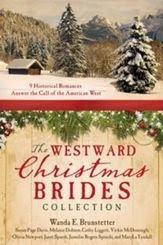 I just finished reading Westward Christmas Brides and really enjoyed the stories. Did you know if you happen to stay in Norman , Oklahoma, be sure to restrain yourself from teasing dogs by making ugly faces because it's against the law. What if an ugly dog makes the ugly faces?? I didn't know that. My dad loved to make faces at dogs. He'd have been in trouble. Vickie, I wonder if toad licking was the same as toad eating, which was another name for flattery in hopes of getting some benefit from the flatteree. The flatterer was called a toady. Maybe toad licking is a mix of toad eating and boot licking? ...oh, and in the Bodleian Library in Oxford University, you have to recite an oath "not to bring into the Library, or kindle therein, any fire or flame, and not to smoke in the Library" Now that one I can understand- there are priceless ancient manuscripts in there, and they don't want some irresponsible person burning the place down and destroying everything.